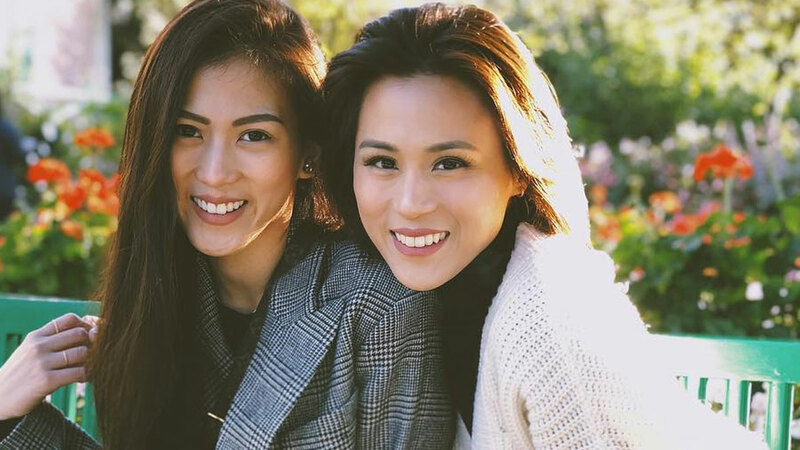 Of all the many siblings in showbiz, we especially love the sisterly bond between Toni Gonzaga-Soriano and Alex Gonzaga. "When we were little, we used to play hosting hostingan sa room, kunwari nagho-host tayo. Nagkatotoo. Sometimes, we tend to forget the dreams we had when we were little. Even if you keep it in the deepest corner of your hearts, God has a way of digging it and making it come true. In His time. #randomrealizations"
The two have always been very open about their close relationship, and we've seen their charming banter on Alex's vlogs, from reacting to harsh comments, doing each other's makeup, to plain just making fun of each other. Because that's what real sisters do, right? Aww. Remember the hilarious video where Alex recited Toni Gonzaga's lines? The two became even closer when they co-starred in their first movie together, Mary, Marry Me. In an exclusive interview with Cosmo, Toni shared how she appreciates receiving unfiltered advice from Alex, while Alex said she respects her ate more as an actress. In the same interview, they also talked about how they always enjoyed playing pretend games as kids, a shared memory which links to Toni's Insta stories post. "I realized my sister is my best friend, and I'm good with that," Toni revealed. Toni and Alex have truly come a long way in making their dreams come true. We'll always have a special place in our hearts for our sisters (biological or sisters from another mother!). Give your sisters a hug and tell them how much you love them.